The Federal Open Market Committee of the Federal Reserve decided not to reduce the Fed’s current quantitative easing program of purchasing $85 billion monthly in Treasury securities and mortgage-backed securities. Going against wide expectations that the Fed would reduce the QE purchases, Fed Chairman Ben Bernanke said that current economic conditions aren’t strong enough to warrant tapering. The FOMC, which sets monetary policy for the Federal Reserve has hinted that it might soon reduce the monthly securities purchases, but has also stated that it would closely review emerging economic news and conditions as part of any decision to reduce the securities purchases under QE. Chairman Bernanke clearly indicated that the decision to reduce asset purchases would be “deliberate and dependent” on economic developments. He underscored this point by saying that benchmarks for tapering QE purchases “are not triggers, but targets” and that no automatic tapering of QE purchases would be made only because an economic benchmark had been met. The two benchmarks associated with QE are a national unemployment rate of 6.50 and a target inflation rate of 2.00 percent. 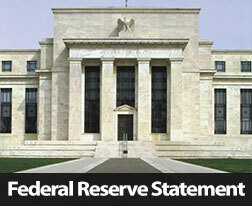 The Fed expects that inflation will gradually increase, but is likely to remain below 2.00 percent through 2016. The current QE program, which involves the monthly securities purchases and keeping the target federal funds rate at between 0.00 and 0.25 percent was implemented a year ago. Chairman Bernanke repeated the FOMC position that the federal funds rate would be kept at the current target rate as “no meaningful change can be made.” It’s likely that the federal funds rate will remain at its lowest target level through 2015. Chairman Bernanke remarked that tight credit policy could be hampering economic recovery and that the FOMC expected a gradual reduction in “financial headwinds” affecting the economy. 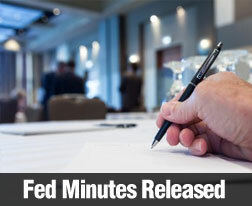 After making the post-meeting statement for FOMC, Mr. Bernanke conducted a press conference. His responses to media questions strongly emphasized the Fed’s intention to maintain open communications with the media. The chairman seemed concerned that the Fed’s prior statements about possible changes to QE had been misunderstood. The Fed’s decision to maintain QE asset purchases at current levels are expected to help keep mortgage rates low. Although mortgage rates have been rising since May, they remain historically low. News for housing starts and building permits issued for August support the Fed’s position that economic recovery is lagging behind expectations. Housing Starts came in at 891,000 as compared to expected starts of 921,000, but were higher than July’s reading of 883,000 housing starts. Building permits for August also fell shy of expectations; 918,000 permits were issued and fell short of the 955,000 expected building permits. 954,000 building permits were issued in July. You are currently browsing the archives for the Federal Reserve category.